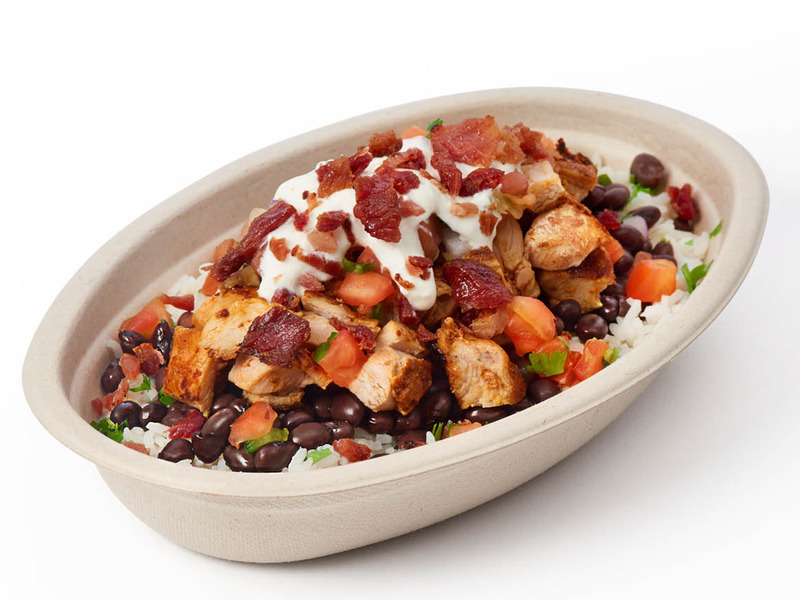 ChipotleChipotle is adding bacon to the menu. Chipotle is adding bacon to the menu in eight restaurants, with plans for a national rollout if the test goes well. Bacon is just one of a number of new menu tests and deals that would have been unthinkable at Chipotle until recently. Chipotle is undergoing a period of intense change. A number of executives have left the chain recently, and Brian Niccol, previously CEO of Taco Bell, became Chipotle’s CEO in March. Chipotle is adding bacon to the menu. The fast-casual chain announced on Thursday that it is adding Applewood Smoked Bacon to the menu in eight restaurants in Orange County, California, after a successful trial in the New York City test kitchen. “We found consumers added bacon to their traditional bowls, burritos, tacos and nachos while also enjoying new items such as the BLT quesadilla with bacon, lettuce, tomato and cheese grilled to perfection,” Chris Brandt, chief marketing officer at Chipotle, said in a statement. If the bacon does well in Orange County – the region where Chipotle is moving its headquarters later this year – the meaty add-on will go national. Chipotle, known for its “food with integrity” motto, has long resisted adding new items to the menu, a strategy that is quickly changing under the leadership of new CEO Brian Niccol. The company also announced on Thursday that it is expanding its test of build-your-own nachos in Denver and Minneapolis-St. Paul this October. Chipotle has been serving nachos in the test kitchen since 2017. Chipotle also announced two new deals, in another new strategy from the chain. 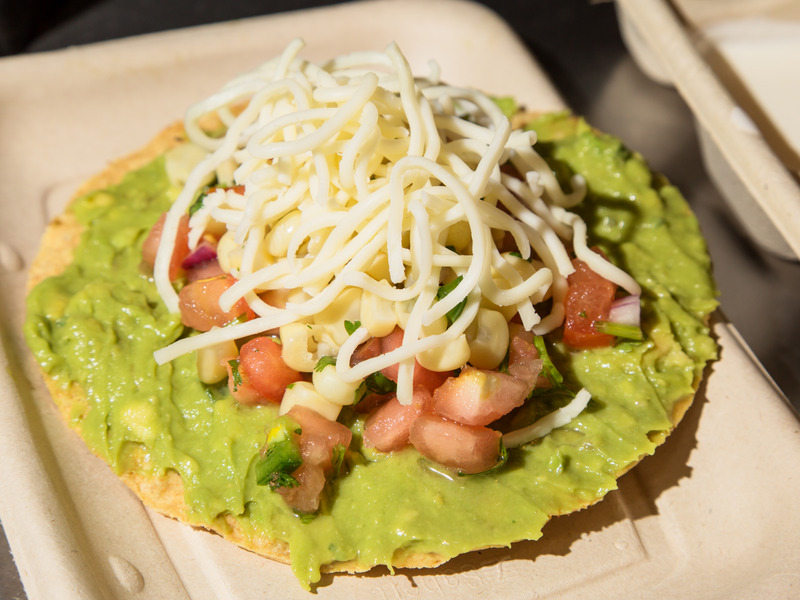 Hollis Johnson/Business InsiderOther test items include the tostada. From Thursday through September 30, customers in Miami and Dallas can order tacos for $US2 with the purchase of any drink after 8 p.m., with locations staying open until 11 p.m. to satisfy expected demand. In select Philadelphia and Indianapolis restaurants, customers will be able to add chips and a drink to their order for $US3. “Available in-restaurant and for a limited time only, the promotions are being tested via Chipotle’s new stage-gate process, which allows the company to test, learn, listen to customer feedback, and iterate extensively before moving ahead with a national launch,” the company said in a statement. The abundance of new menu tests and deals would be unthinkable for Chipotle even a year ago. However, the chain has continued to struggle to overcome its sales slump since it was linked to an E. coli outbreak almost three years ago. A recent food-poisoning outbreak linked to Chipotle has reignited concerns as investigators remain unable to trace the source of the outbreak. Chipotle is undergoing a period of intense change. A number of executives have left the chain recently, and Niccol, previously CEO of Taco Bell, became Chipotle’s CEO in March. Taco Bell experienced a period of impressive growth under Niccol’s leadership as the CEO pushed for more creative marketing and wild new menu items such as the Naked Chicken Chalupa.